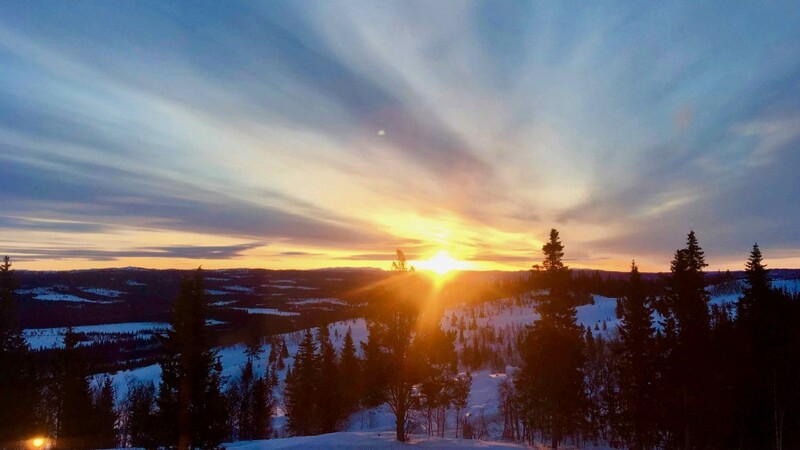 This is a stunning six-day Nordic ski journey, which begins in Geilo the gateway to the famous Hardangervidda National Park. We enjoy 145 kms of track skiing, which takes us through varied and beautiful mountainous terrain. We visit remote valleys and stay in characterful hotels, and mountain lodges while our luggage is transported for us. 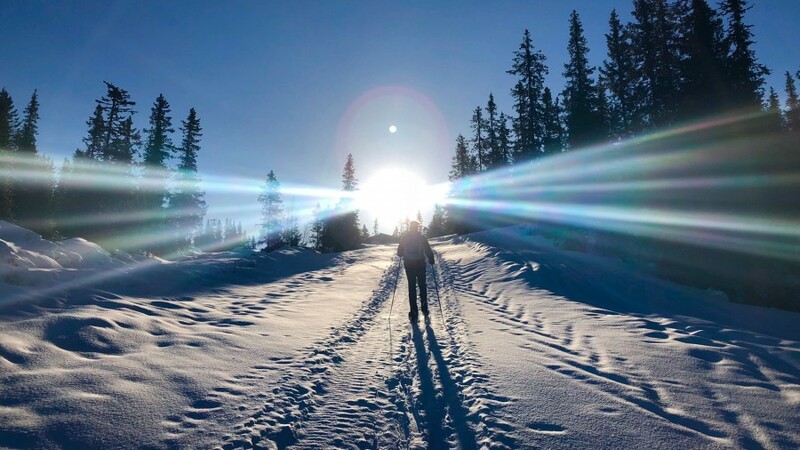 This is Nordic ski touring at its best! A night with lynx, wolves, and reindeer! 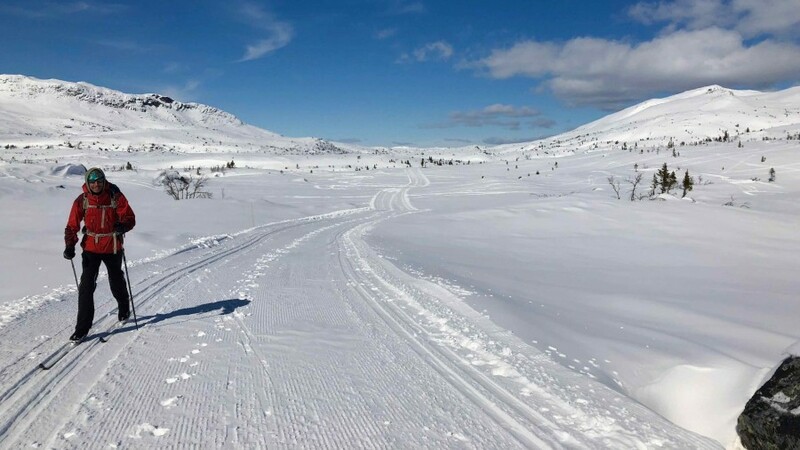 We are delighted to bring you the chance to ski The Hallingdal Track, a fabulous mountain journey on Nordic skis. As far as we are aware we are the only ski guiding company to offer this trip, which in our minds is one of the best we have skied. 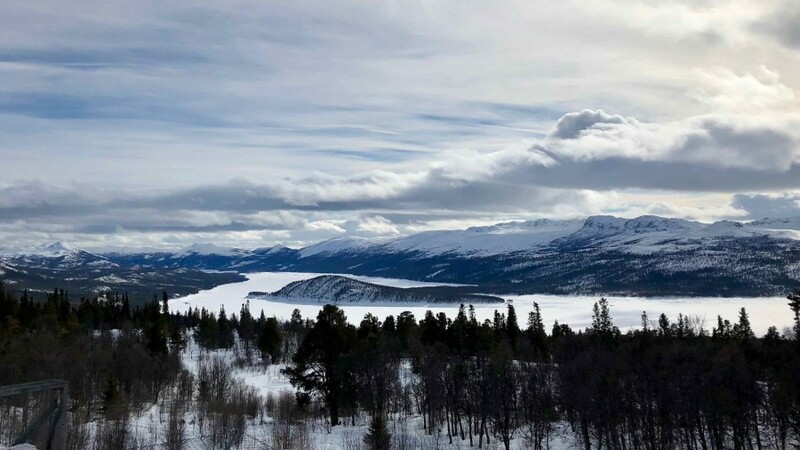 A constantly changing panorama as we make our way south-east from the ski town of Geilo to the mountains of Norefjell. We ski through stunning mountain terrain which is high above the tree-line offering views of distant horizons. 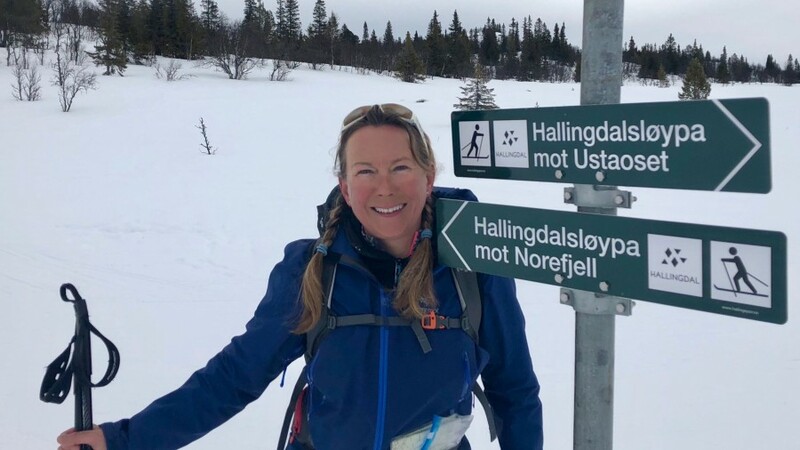 We also enjoy skiing to the summits of two mountains, Dyna and Hallingnatten en route! Thank you so so much...for having the courage...to take me! For believing I could do it. For making me believe I could do it. For the superb organisation...for all the work you put into setting up this amazing trip. For the wonderful accommodation, the fabulous guiding and, most especially, the brilliant company. A trip like this was on my bucket list and it delivered a fantastic experience. Great guiding, accommodations, food, trail grooming, and some manageable challenges! Lindsay led us on a really enjoyable trip through a variety of stunning landscapes. Each day was hugely different. 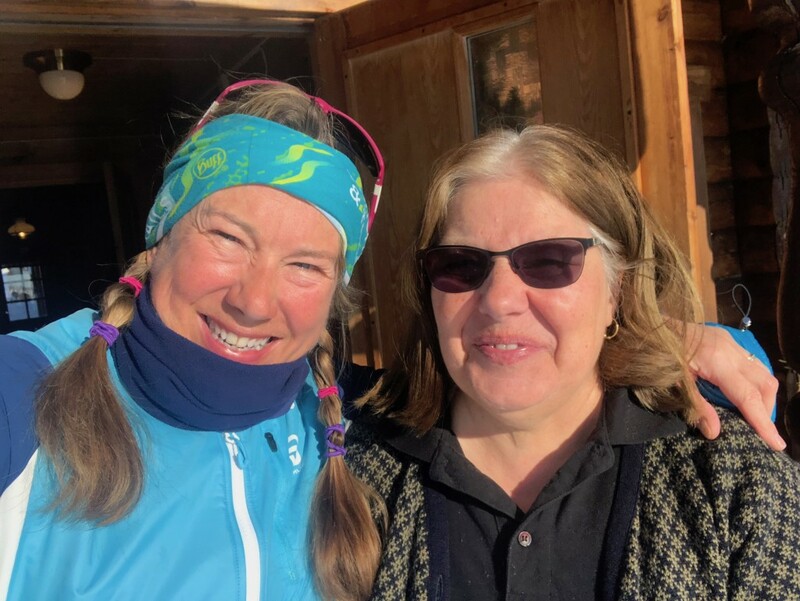 The people we met along the Hallingdal Track and where we stayed overnight gave our journey the feeling of a real Norwegian experience. 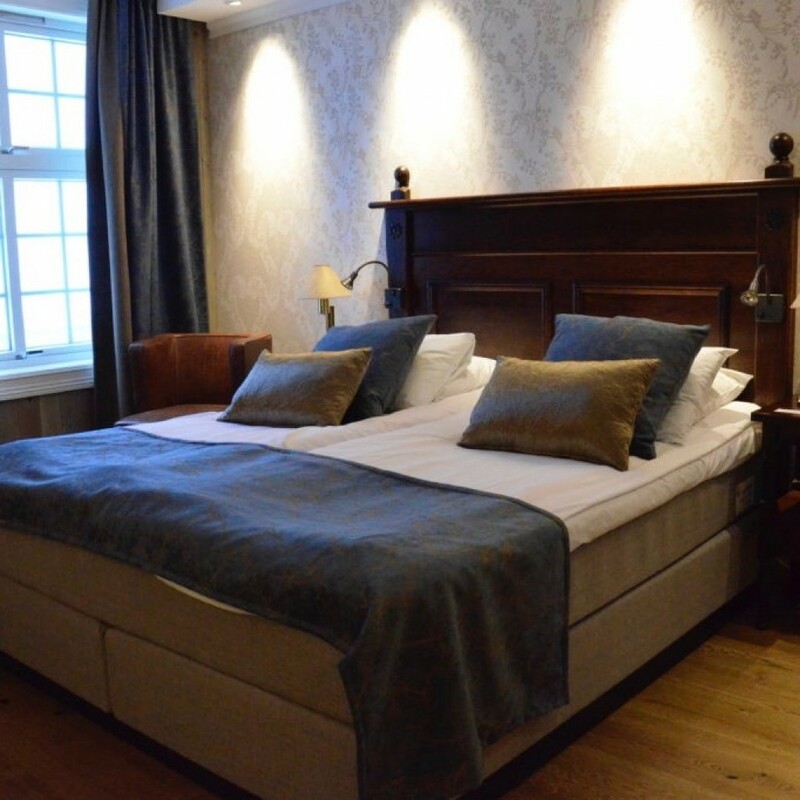 Today you arrive in Geilo, in southern Norway to the historic Dr Holms Hotel, which dates to the time the Bergen-Oslo railway was opened in 1909. 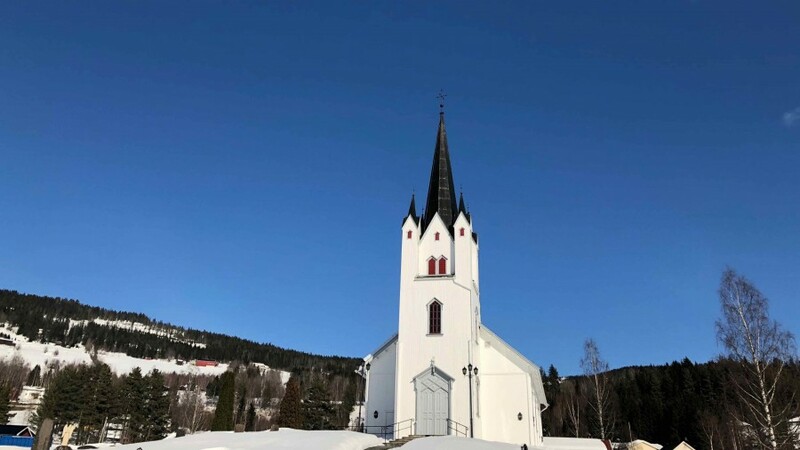 Geilo is known for its skiing and its mountain trails. It is the gateway to two national parks. 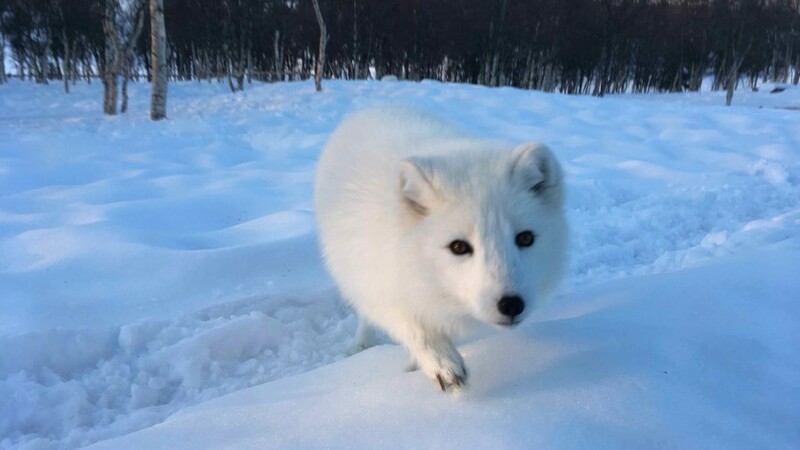 Hallingskarvet National Park, which is characterized by steep cliffs and is the home of arctic foxes, and Hardangervidda National Park, which at 3,422 square kilometers, is Norway's largest national park. 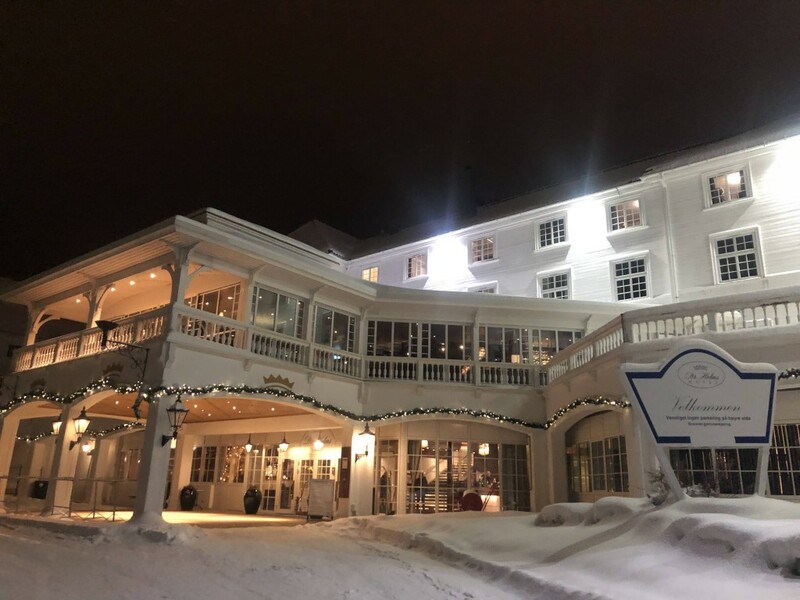 Tonight we meet you at your hotel in Geilo to organise any ski hire and to brief you on the trip. 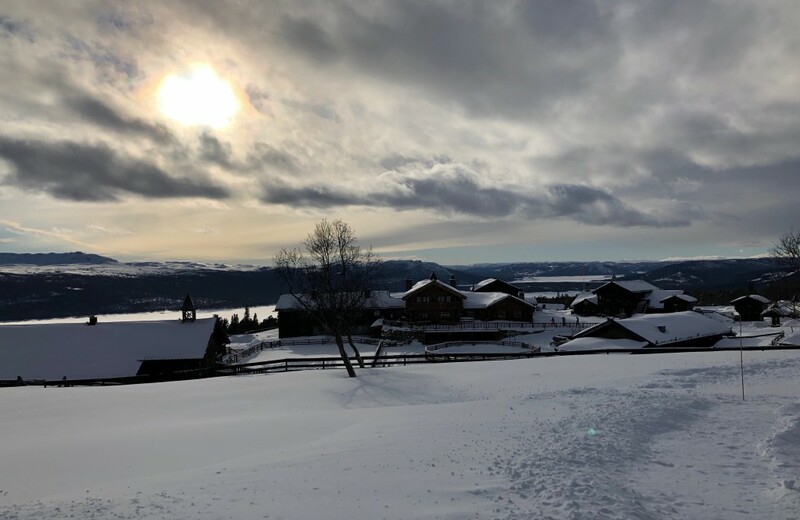 This morning we set off from Geilo with a fifteen minute transfer by road to the small village of Ustaoset where we will begin our long distance journey along The Hallingdal Track. We start with relatively flat terrain until we reach the lake of Usta where we ski onto the lake itself and head for the other side. The lake crossing makes for a wonderfully atmospheric start and is a great introduction to this world of snow and ice. Once at the other side we climb steadily up a long hill to reach the amazing Hardangervidda plateau, a wilderness the size of Switzerland. We then turn east and ski toward the rounded summit of Birgithovda at 1173m (3847ft). On the way we will call in at Tuva Turisthytte for a coffee and waffles. 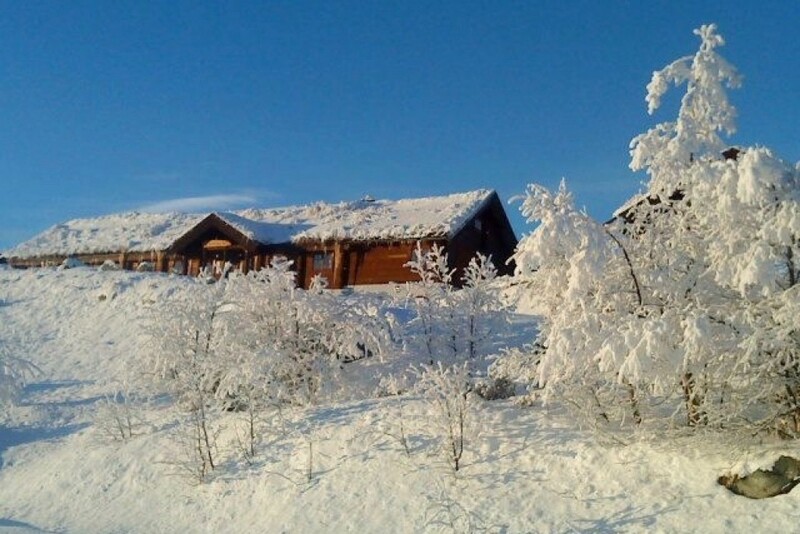 Tuva has been welcoming visitors since 1915 and is a traditional Norwegian mountain lodge. Leaving Tuva we climb past fishing lakes, and then descend and turn east as we make our way to Hakkesetstølen, which sits high above our starting point at Geilo. 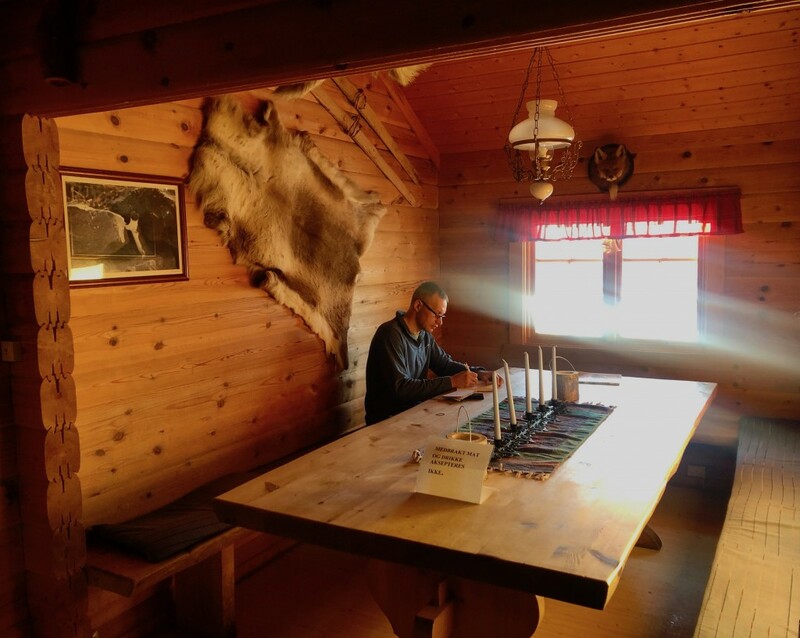 Tonight we stay in the hamlet of Hakkesetstølen in a traditional Norwegian wooden lodge enjoying local hospitality. It is a day to savour a truly arctic environment. We cross the mountains high to the south of Ustedalen this morning as we ski through a landscape of small hillocks and lakes. This is ideal terrain to consolidate technique and ensure that you are on good form before we head onto more challenging ski tracks. 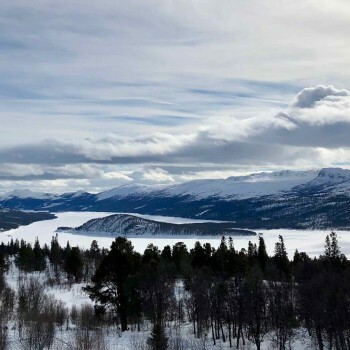 We have some amazing views today across the valley to the high plateau of Hallingskarvet with its black cliffs and gully lines, and then eventually views to the far east and the range of mountains far beyond. 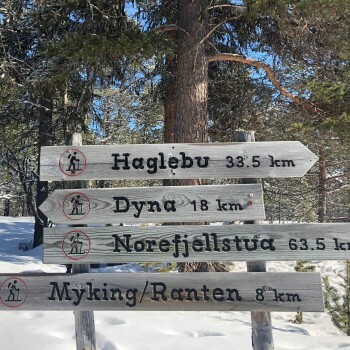 Most of the day we are following the route of the Hallingspretten race, which is a 50km cross country ski race from Geilo to Ål held every March. 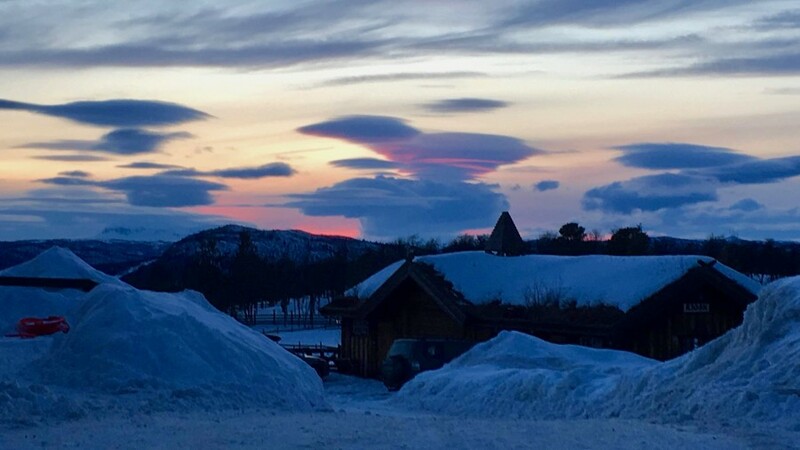 Our ski day ends at the tiny mountain hamlet of Tullestølen where we will be picked up by our taxi and driven down into the valley for our overnight in the town of Ål. Quite simply there is no accommodation at Tullestølen and a visit to Ål adds to the variety of overnights on this trip. It is the only time we leave the actual route, and the rest of the trip we are skiing door to door. Ål has various shops and supermarkets, and two sports shops providing retail therapy if you wish it. A transfer back up the long steep hill to Tullestølen and the tiny community of Sangefjellet lying under its blanket of snow begins our day. We ski through an interesting landscape of numerous small lakes, birch woods and hills as we work our way towards the summit of Dyna. This mountain is a feature of the area and at 1212m (3975ft) is a common goal for local skiers. If you have watched the film on our website of the Hallingdal Track then it is this descent that is featured in the film. A ski through tiny hamlets and past ancient wooden buildings is to be savoured, some of the wood used for these buildings is so old that it appears sculpted by the wind and the elements. Eventually, we arrive beside the lake at Holmevatn where there is a wooden shelter for a final snack stop before heading to our mountain inn at Fagerhøy. Øyvind who runs the inn prides himself on the meals and the unique tappas and beer selection, for which Fagerhoy has become famous. A sauna to warm any chilled muscles is a great way to end the day here. A lovely descent into the valley starts our day and gets our legs warmed up! We ski through characterful birch woodland, passing in and out of open glades, until we reach the settlement of Synstevassbu. 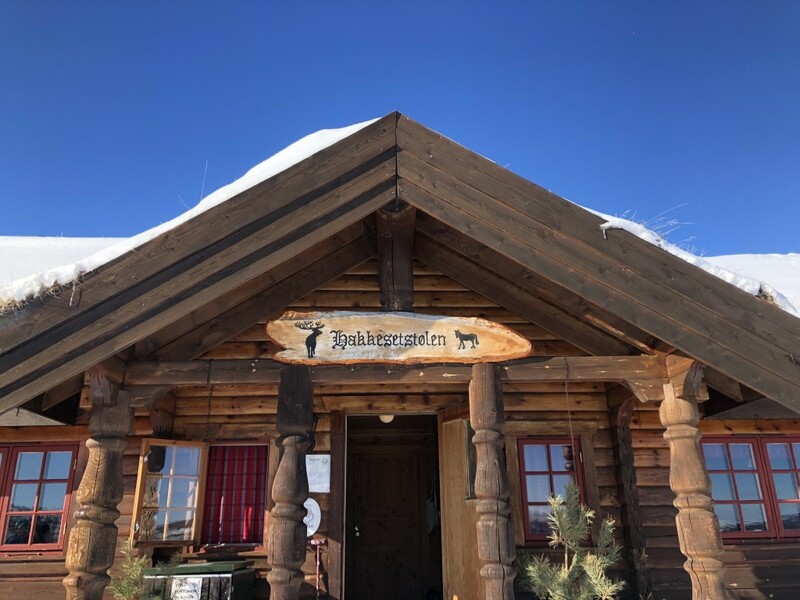 ‘Bu’ is often the ending for a place name as it means a simple building or mountain hut, where the shepherd lived while looking after the herds in the summer. At Synstevassbu we ski across the lake and then begin a steady climb to the high plateau. It is at this point in our journey that the terrain begins to feel higher and wilder. Sometimes the ski tracks in this section can be ‘blown in’, and we may be working a little harder. A fast descent down to Langedrag, where you will soon realise it is not our ‘usual’ type of accommodation. 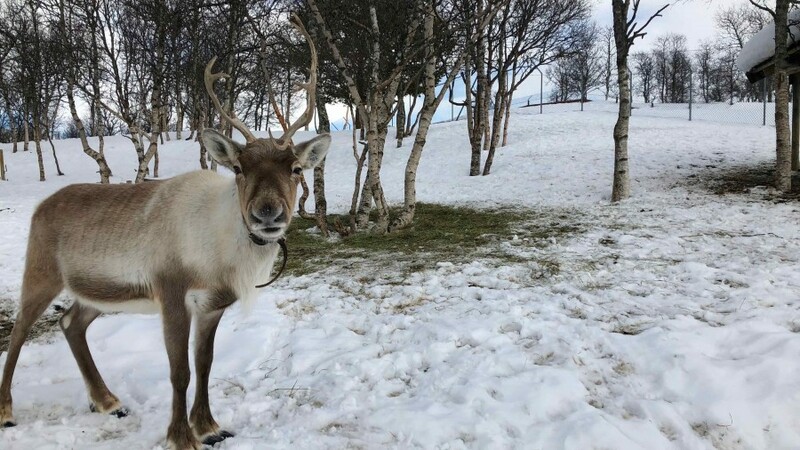 It is in fact a wildlife park and features Norwegian animals such as lynx, arctic fox, musk ox, reindeer and elk, to name a few. 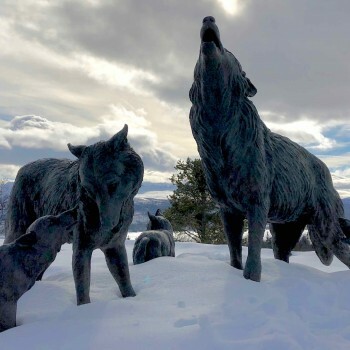 It is quite a thrill to hear the wolves howl at the moon just as you drift off to sleep. We leave the stunning views of the massive lake of Tunhovdfjorden behind as we climb back to the plateau and begin our most challenging day. Today the terrain is wilder, higher and more exposed to the elements than anything we have encountered so far, and has a true mountain feel to the landscape. The area is home to one thousand wild reindeer, and it is not unusual to see ptarmigan flying across the trail in front of us. In 2019 we were incredibly lucky to see a wolverine running across the mountainside. We eventually take a line up a gentle gully where we gain the high ground and turn southeast and head for the high point of Hallingnatten mountain at 1314m (4309ft). The mountain has an impressive cairn marking the summit and makes for excellent photos! 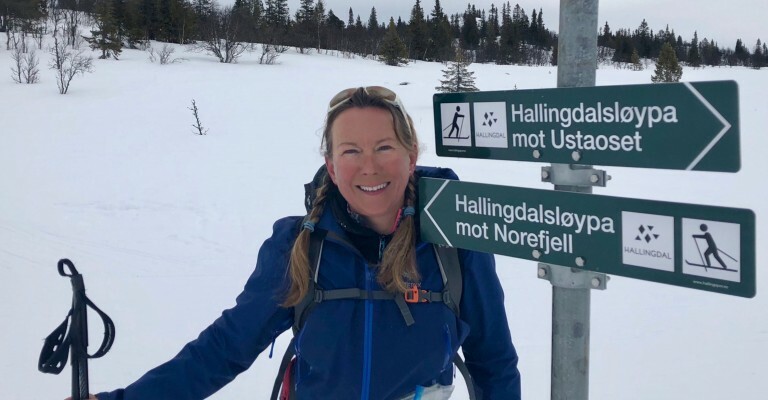 After passing this summit we ski through undulating terrain to the long lake of Reinsjøen where we continue along the shore before a final climb between two low lying hills, towards an exciting and steep descent to the hamlet of Haglebu where we will spend the night in cosy wooden cabins. 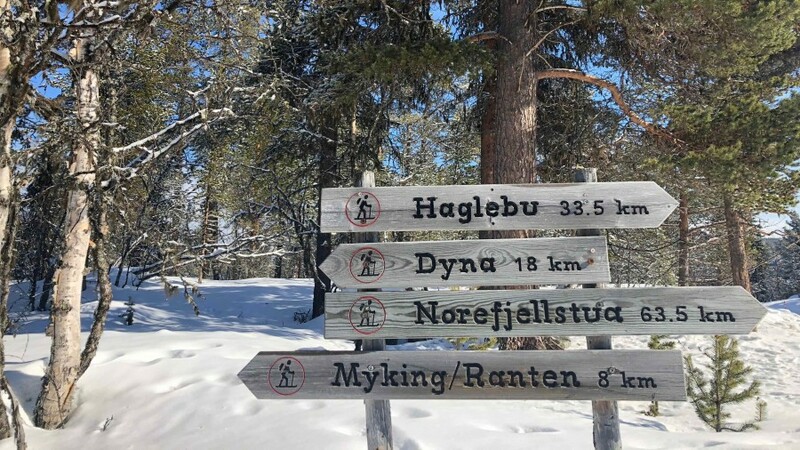 If the tracks demand it we may take a longer route from Reinsjøen to Haglebu which will make the journey 34.7km (21.7 miles), and an ascent of 873m (2863ft) and descent of 1297m (4254ft). If in the course of the trip your fitness or ability has been in question we would ask you to note that your guide may ask you to travel with the luggage on this day as it is a demanding day and requires good technique for the descents. Normally you will be able to travel with the luggage free of charge, but if there are additional costs we will ask you to cover those. A steady climb this morning as we regain the high plateau, this time to the south of the hamlet of Haglebu. The peak of Smatjernnatten will be on our left as we join the plateau and rejoin the Hallingdal Track as we head ever southeast over lakes, and round characterful small summits. We love this day, lots of mountain features and stunning terrain. Numerous lakes all along the route, which we will ski along or across, though it is hard to tell in the snow-covered wonderland whether we are on land or water! The mountains have more than one hundred pit traps dating to Neolithic times when the hunters would drive wild reindeer into the pits. Eventually we see the settlement of Tempelseter which is the start of many of the cross country trails in this area of Norefjell. The name ‘seter’ is very common and is a simple wooden cottage where farmers bring their herds to be milked. Historically the young women brought the animals to the seter and remained there for the summer, caring for them and making cheese. 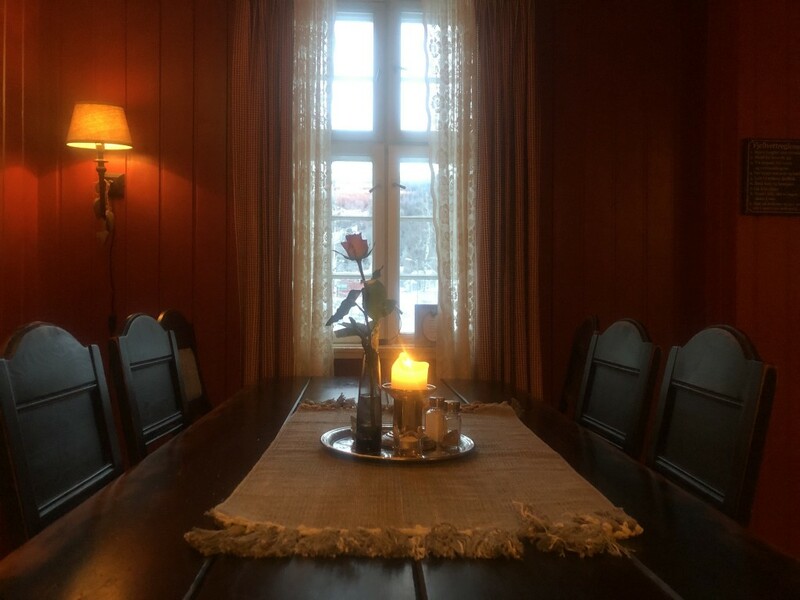 We finish The Hallingdal Track at Templeseter and transfer down to Eggedal to spend our final night in a really lovely traditional Norwegian hotel. Today we have an early morning transfer by private taxi of 1 hr, 15 minutes from Eggedal down to the railway station at Hokksund where we catch a train to Oslo Airport. The trains leave approximately every hour from Hokksund from 0633 hrs. The journey time is 1h18. If the group transfer time which is detailed under "Trip Information", "Arrival & Departure", does not work with your planned flight time then we can help you organize an early transfer to Hokksund. 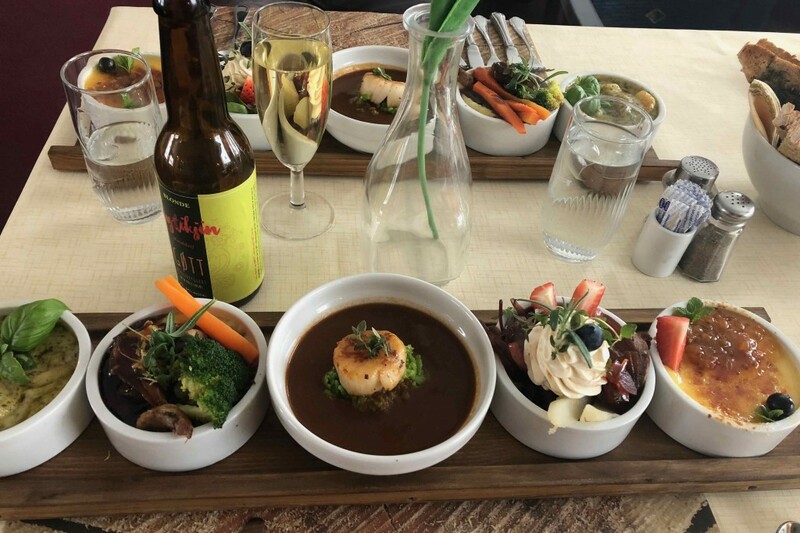 This will be at your own cost, or as with many of our guests you can consider spending a night in the capital city of Oslo and catching a flight the following day. Please note that if you arrived via Bergen there are trains which run back to Bergen from Hokksund but it is a very long journey of up to 8 hrs. 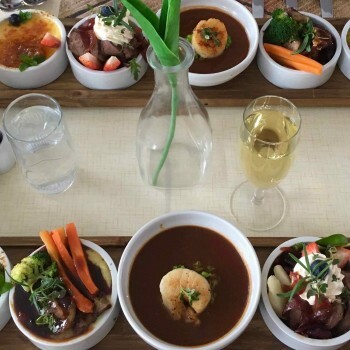 We would suggest that if you do fly in to Bergen that you consider flying out of Oslo. On this tour you will stay in comfortable and cosy hotels, some have saunas. 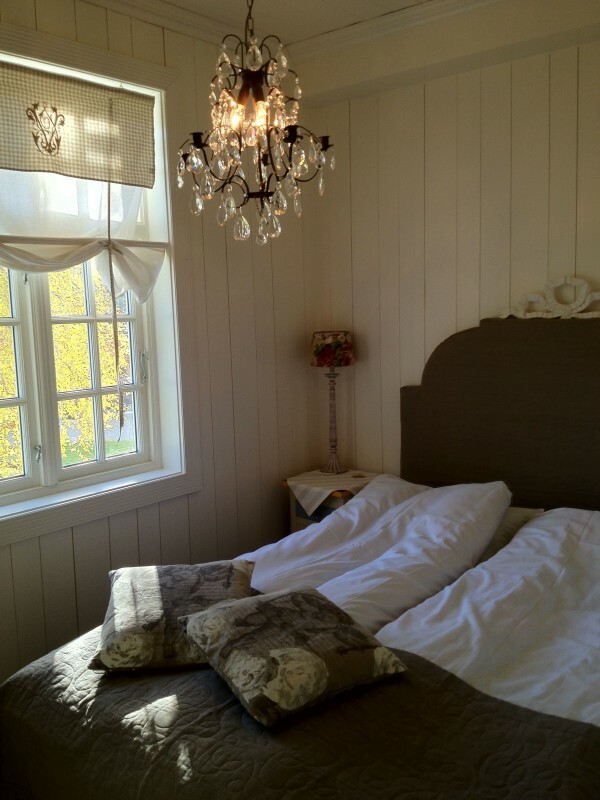 Our guests are usually very pleasantly surprised by the standard of the hotels in Norway and this trip is no exception. 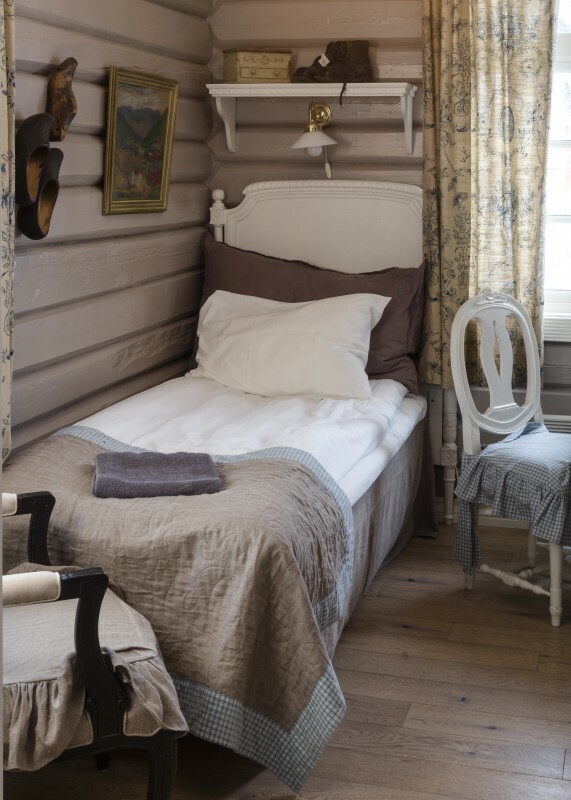 Do not expect luxury, but you will get lots of character and good Norwegian hospitality. The trip price is based on two people of the same gender sharing a room. Your room will usually have en suite bathroom and toilet on 5 nights, but may not on 2 of the nights. It is really a case of what is available at the time of booking. On a trip such as this the accommodation available to us is very limited and we have little choice. 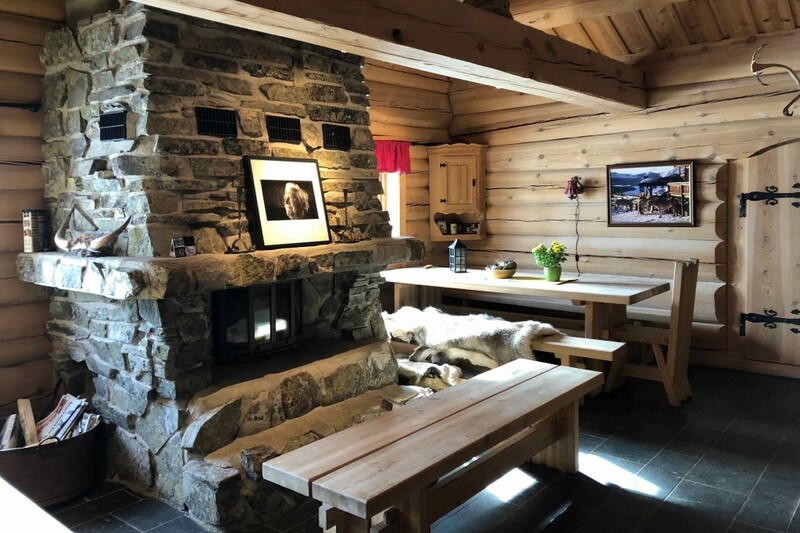 This trip was new in 2019 and without exception our guests remarked that one of the most enjoyable aspects of the trip was the varied accommodation, and the chance to enjoy traditional Norwegian hospitality. This historic hotel opened its doors in 1909, at the same time as the Bergensbanen railway was opened linking Oslo with Bergen. 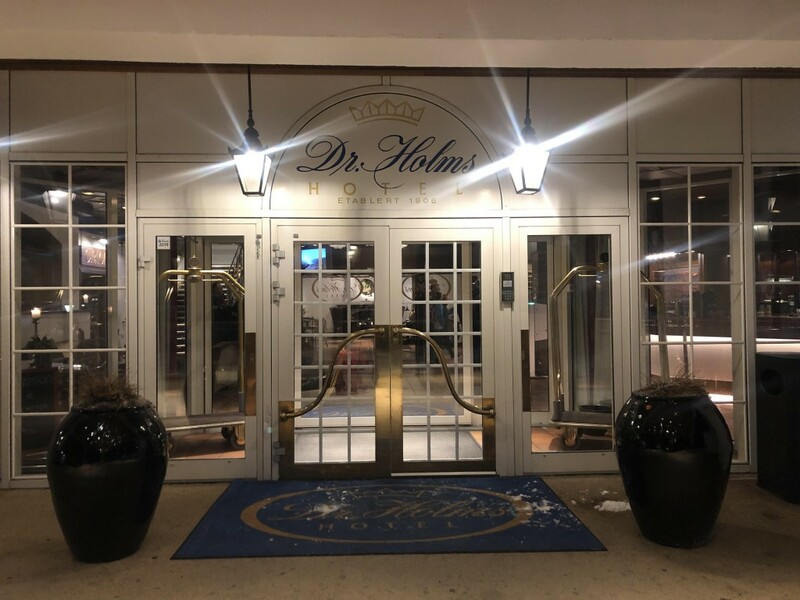 Doctor Ingebrikt Christian Holm was a specialist in respiratory diseases and in 1909 he put his knowledge into action and established the Dr Holms Hotel. In the beginning it was a retreat for pale inhabitants of Bergen and Oslo who embraced the fresh mountain air, but today is a cosy and comfortable hotel catering to skiers. In 2009 the hotel celebrated its 100th anniversary claiming to be ”The Hotel of Nine Lives”. Having survived changing epochs, and enduring gusts of wind of hurricane strength. 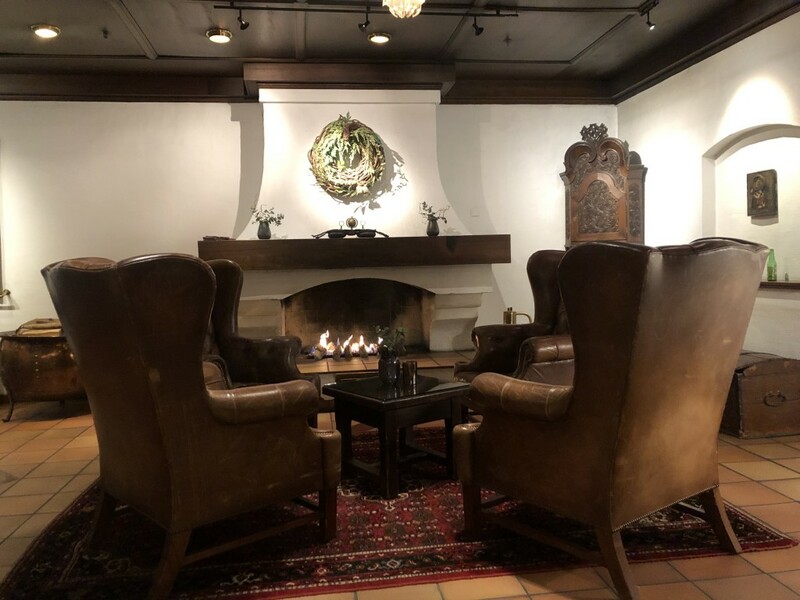 There is hardly another mountain resort hotel that has endured the years through Norwegian history such as the Dr Holms Hotel. We have true mountain accommodation tonight perched high on the 'fjell'. Hakkesetstølen is located 1050m (3444ft) above sea level, surrounded by the beautiful scenery and nature of the Hardangervidda. This is very much a true mountain lodge, rustic, wooden and oozing character and opened in 1993 by Queen Sofia, of Norway. Torild who runs it is a gem of a woman, and looks after us very well. We will either be housed in bedrooms in the main building, or we may find we are staying in the cabins which surround the lodge itself. Rooms may or may not have private shower and toilet although when possible we do ask for en suite facilities. Tonight we head for the valley and the town of Ål, simply because we have no other possibility to stay high on the mountain. The town is a typical Norwegian town, with some basic facilities such as a supermarket, bank and sports shops. 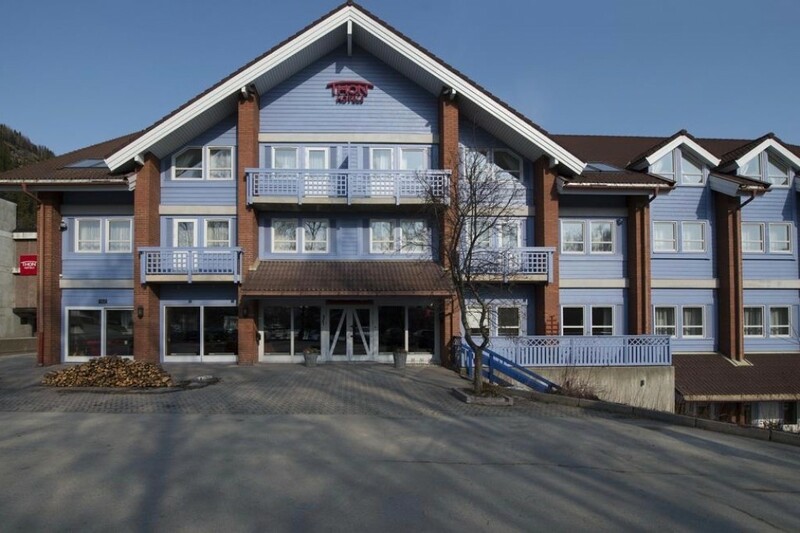 The Hallingdal Thon Hotel where we will be staying does a good dinner, and excellent breakfast, and has a gym and sauna. The hotel is also just a short distance from the tourist office, museum, and arts and culture centre. If you have some free time it is worth popping into the culture centre to check out any local art exhibitions. 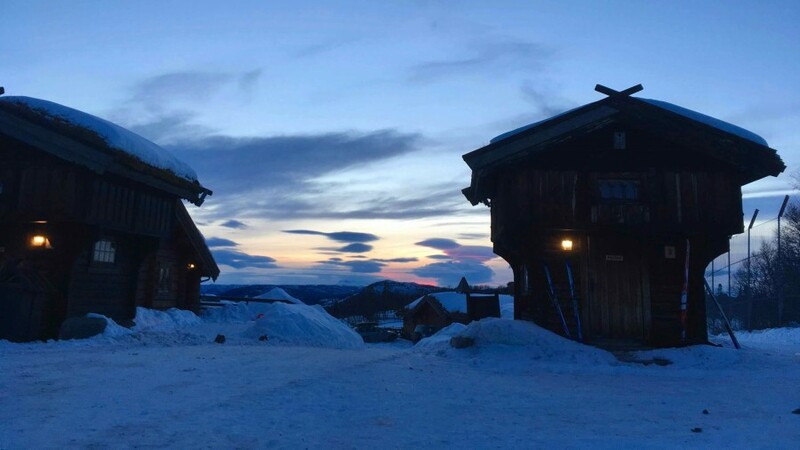 This mountain lodge is a comfortable overnight with a cosy atmosphere so characteristic of the Norwegian tradition of a mountain lodge or “fjellstue”. The bedrooms are simply furnished with typical wooden items, and are generally all en suite with shower and toilet. At the end of the ski day we might appreciate if they fire up the sauna! Øyvind, who is Danish, and is the owner of the inn prides himself on the meals and the unique tappas and beer selection, for which Fagerhøy has become famous. 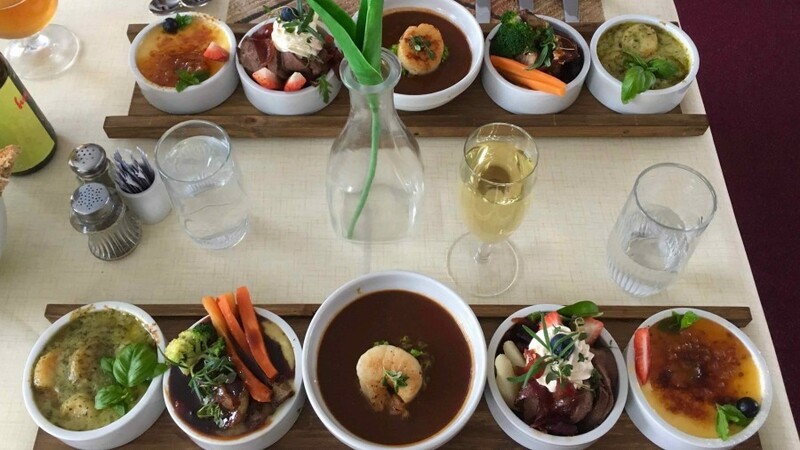 Everything at Fagerhøy Fjellstue is prepared and cooked from scratch, and the Danish chef is very keen to produce food that not only tastes good but looks good as well. They have their own smoke room for preparing meat, fish and wildfowl. The area is in fact renowned for smoked salmon. An overnight with a difference as we share space (not too close) with wolves, reindeer, lynx and elk! 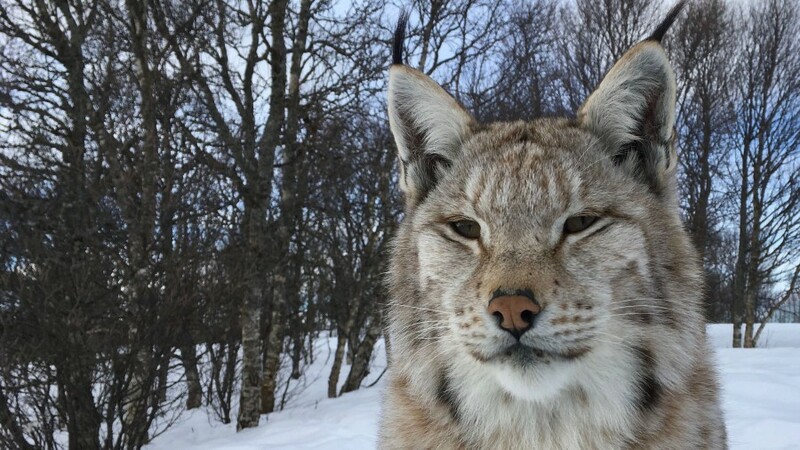 Langedrag is a wildlife park in the Norwegian mountains. Quite simply we have no other options for accommodation, and to be honest it's a great experience. Our overnight stay includes entry to the Park which features a wide range of native animals. 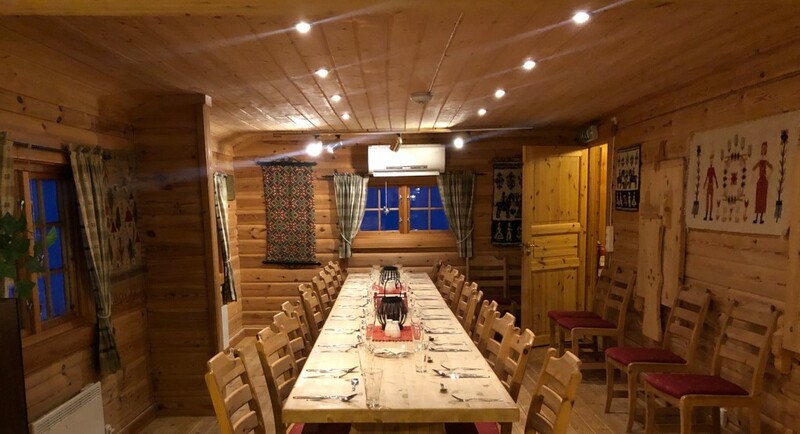 The accommodation is in characterful log cabins, simple but cosy. Most rooms do not have en suite toilet facilities and you will be sharing facilities nearby your bedroom. We will be provided with bed linen and we will be asking you to help out by making up your own beds. Please be aware that Langedrag is an education facility and places great important on teaching the next generation about the native wildlife. For this reason there are often groups of school children also staying at Langedrag, though usually in a different building! After a long descent to the remote hamlet of Haglebu we will be happy to see our cabins by the lakeside. Our accommodation tonight is cosy but simple. We will either stay in small wooden cabins by the lake, or in the wooden cabins next to the 'fjellstue' or 'mountain lodge' where we will eat dinner. The accommodation may have en suite toilet facilities or we may have to use the communal facilities on the site. We will make our own breakfast from food provided by Mona who runs the fjellstue. 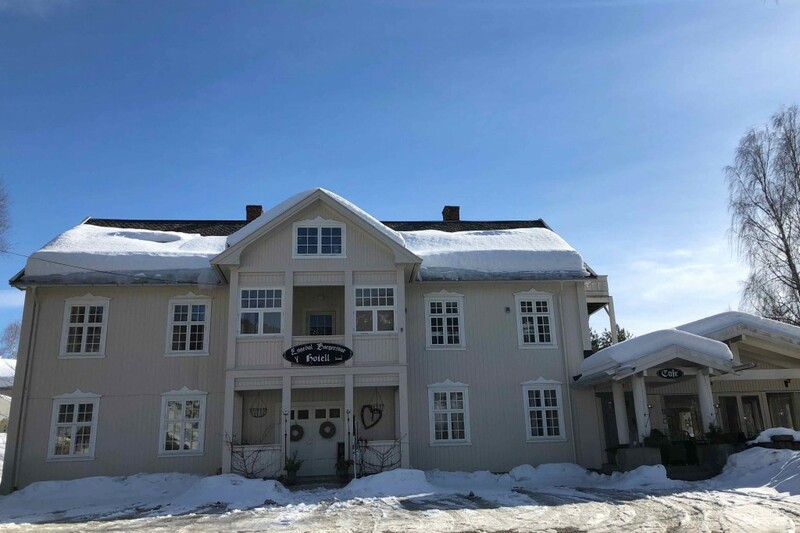 At the end of our last skiing day we leave the mountains and descend to the tiny village of Eggedal where we enjoy a lovely traditional hotel. 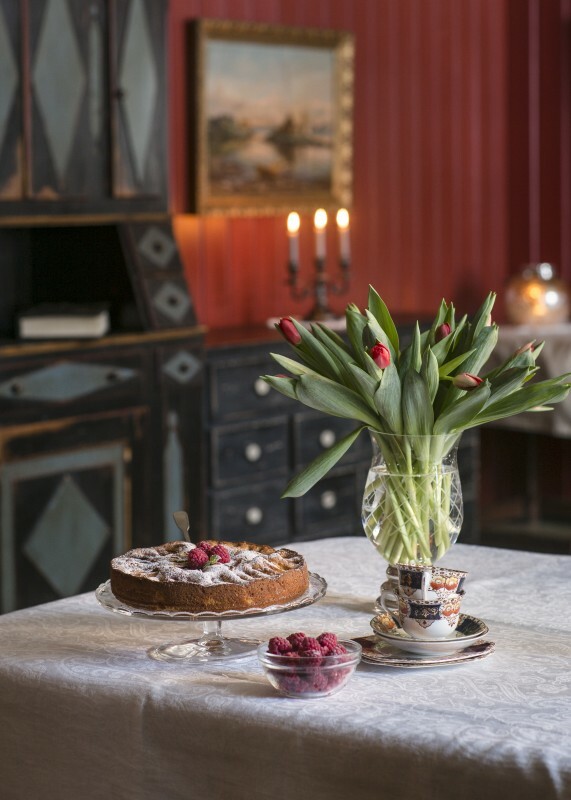 We are assured a warm welcome from the owner of Eggedal Borgerstue, Elisabeth Bøle. The hotel features tastefully decorated rooms, some with four-poster beds, and local artwork. But it should be no surprise that the decor is beautiful as Elisabeth also runs an interior design and art business from the hotel. You may even find that you can purchase some last minute gifts from her showroom. To get to Geilo, in Norway, you can choose to fly either to Oslo Gardermoen airport or to Bergen airport. You will then take a train to Geilo which is on the main line between Oslo and Bergen. If arriving into Oslo airport the first train to Geilo departs around 0743 hrs, and the last train at 1513 hrs. The journey time is approximately 4 hrs. The railway station is within the airport building and is just a few minutes walk from the baggage reclaim area. Arriving into Bergen there are trains to Geilo several times a day, taking around 3 hrs. The first train is approximately 0757 hrs, and there are another two trains departing at approximately 1159 hrs, and 1557 hrs. The train at 1557 hrs is the last train of the day. To travel from Bergen airport to Bergen bus/train station is a 15-minute taxi ride, or a 40-minute tram ride. The trams leave the airport every 15 minutes. On your departure day we have an early morning transfer by private taxi of 1h15 from Eggedal down to the railway station at Hokksund where we catch a train to Oslo Airport. The trains leave approximately every hour from Hokksund from 0633 hrs and the journey time is 1h18. We will aim the group transfer for the 0859 hrs train, which will arrive at Oslo airport at 1017 hrs. We advise that your return flight is from Oslo airport. To return via Bergen involves a lengthy train journey of between 6h30 to 7h20. All of the above train times are provisional. In Norway the train times are confirmed 3 months before the departure date and can vary by a few minutes on the times given for previous months. Please ensure you book your ticket early as the trains can be fully booked and you will not be permitted to travel. Winter temperatures in Scandinavia are 'according to the locals' warmer in recent years than previously which is why we now run trips in the months of January, and February, as well as March and April. Even in January when the daylight hours are short we find that we have more than enough time for skiing. We have never yet had guests feeling they were losing out in terms of ski hours by booking in January or February. There is a special pleasure to starting your ski day in the sunrise, and skiing back with the sunset. If you are booked on one of our 'Advanced' or 'Challenging' point-to-point journeys and we experience very cold temperatures eg -15°Celsius (5°F) then we would expect you to be able to be efficient and keep moving and to manage your comfort. The skis used on this trip will be metal edged classic track skis, or classic track skis with half-metal edge and with NNN BC bindings. The type of ski the Norwegians call a ‘fjell’ ski which means 'mountain' ski. The hire shop normally supplies Fischer XC E99 ski with metal edges, or similar. 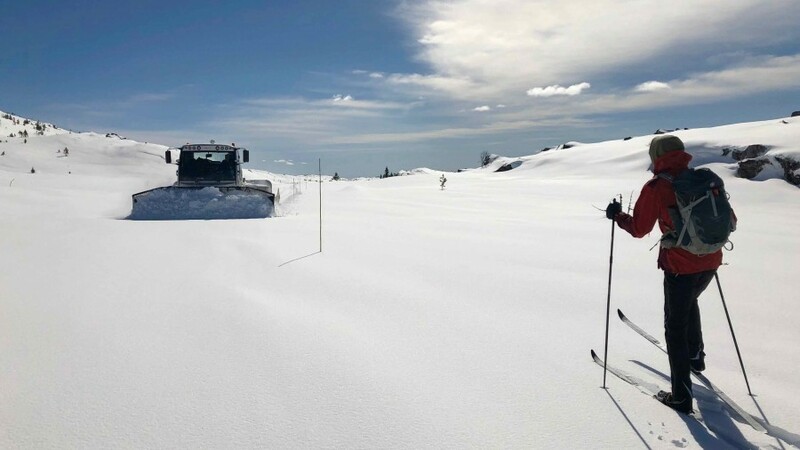 We use this type of ski as we may encounter tracks that have not been ‘cut’. We generally use waxing skis on this route, rather than fishscale, but we would not exclude you from bringing fish-scales if they are appropriate for the terrain. If you have your own skis we would ask that you contact us for clarification. You will also need ‘climbing skins’ and we supply these free of charge. If you require ski hire we will arrange hire in Geilo. The hire cost for 6 days is expected to be around 1050 NOK. 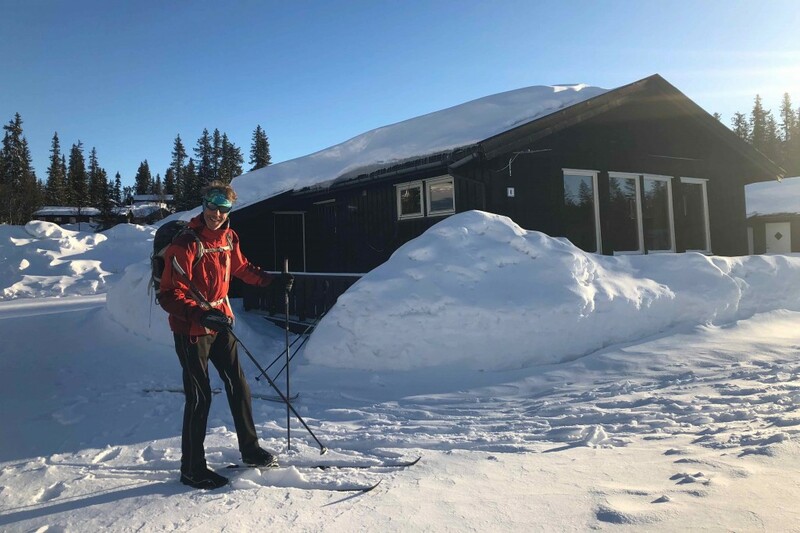 If the number of people hiring is 4 or less, then your skis can be posted back at the end of the trip from the Post Office in Eggedal, which is open till 1800hrs on a Saturday. The postage cost will be covered by the person who is hiring the equipment and is expected to be around 350-400 NOK per person. This is based on being no more than 10 kgs (22 lbs) in weight. If more than 4 people are hiring then the skis have to be returned by taxi at a cost of 3000 NOK which will be shared between those hiring. The reason for this is that returning the skis by post could take one week, and the hire shop at Geilo would lose a week of rental income. Another option is buying your own boots, and hiring skis and poles. Whatever you decide please discuss with us to ensure that any hire or purchased skis and boots are the correct type for the trip. Be aware that if you do already have boots you need to check with us that they will fit the bindings on the hire skis. Please note you are required to bring your own cork, scraper and ski tie. These can all be purchased at the start of your trip. A cork and scraper usually cost around 80 NOK. In Norway it is not necessary to purchase a ski pass as there is no charge to use the tracks. When booking a holiday as a solo traveller a twin bedded room comprising of two single beds, is booked as standard. This will be with someone of the same gender unless you request to pay extra for your own room. 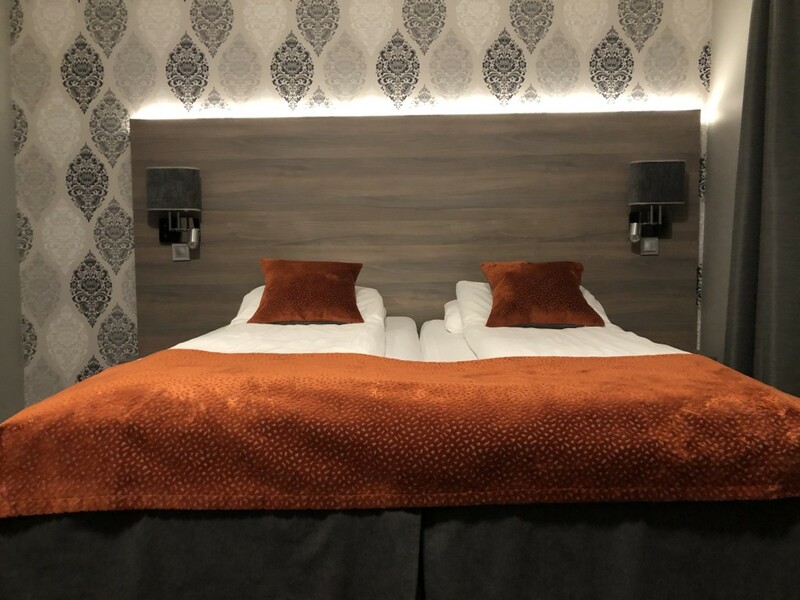 Single rooms are often limited in supply so if you would like to pay a supplement for a single room we urge you to get in touch as soon as possible. This trip has a single supplement of £280. The supplement is with regard to a single room being available for 6 of the 7 nights, this is because there is a possibility that on one of the nights a single room will not be possible due to limited accommodation options. 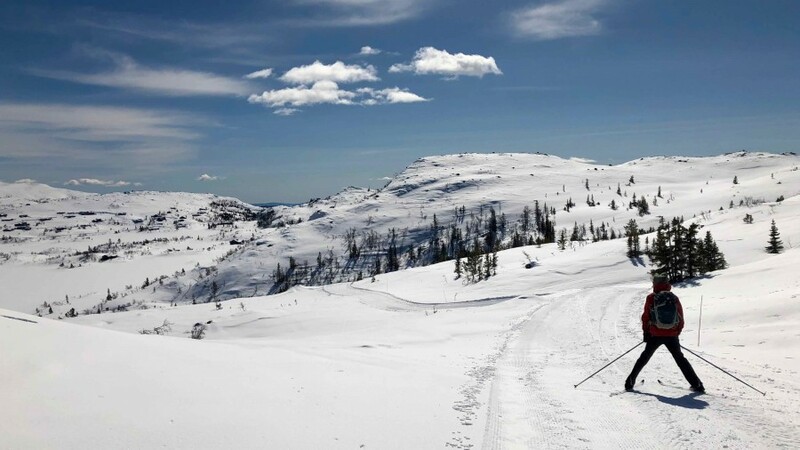 This is our highest-level cross-country ski holiday. At this grade, expect the same as our 'Advanced' trips plus a little more of everything! This means that distance, height gain, time on skis could be extended due to the terrain and reliability of the snow and conditions. The tracks may be perfect or they may not have been ‘groomed’ for several weeks. 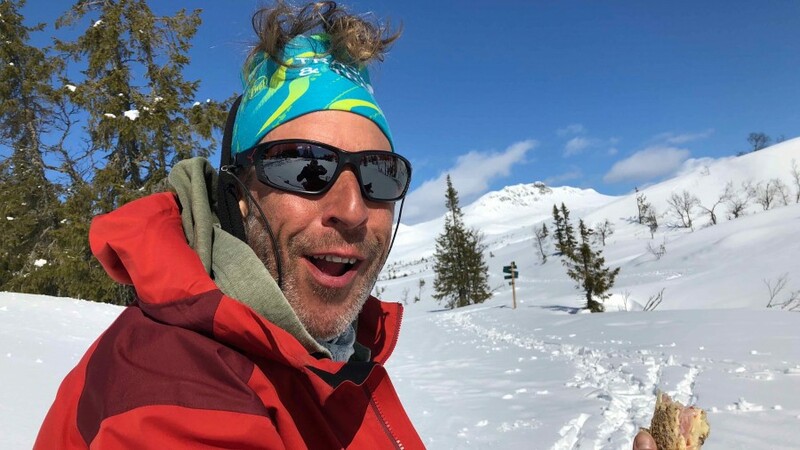 You should be an experienced and proficient cross-country skier who loves a challenge both physical and mental. We would expect you to have completed various point-to-point journeys before attempting this trip. You should be able to cope with all kinds of weather, and be self-sufficient in terms of keeping yourself warm, dry, fed and hydrated. You should enjoy being in remote and wild mountain areas. 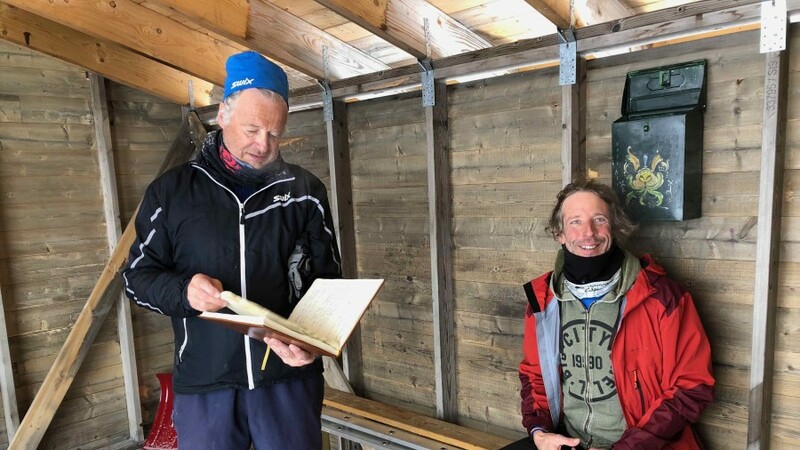 In Norway we normally use ‘waxing’ skis and although you do not need previous experience in this we would expect you to understand the principle and be prepared to follow the guidance of your Instructor. 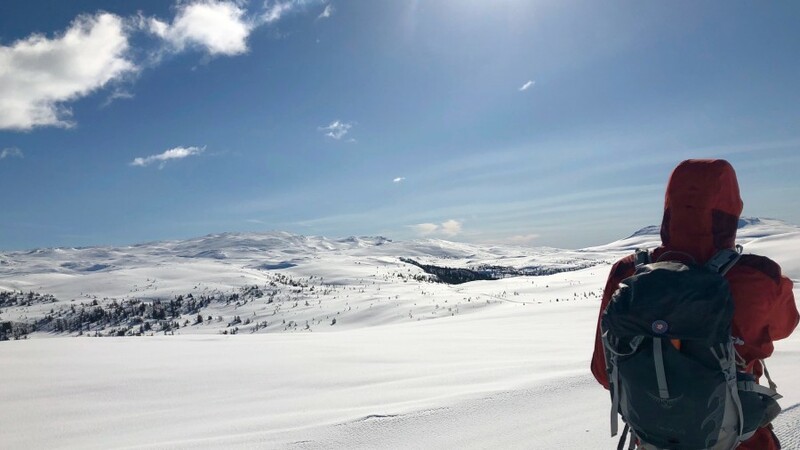 You should be at a high level of fitness and be able to ski for 6-8 hours and cover distances of 25-35 km (15.6-21.8 miles) per day whilst carrying a daypack. These trips will sometimes feature a longer day of up to 40 km (25miles) and up to 8-9 hrs of skiing. 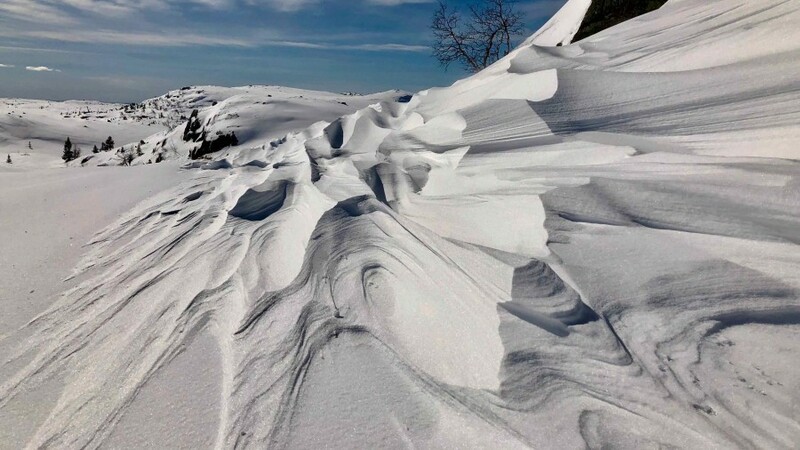 NOTE: With regard to The Hallingdal Track we would like to emphasise there are many long descents which require a 'strong' snowplough and a good mental attitude. 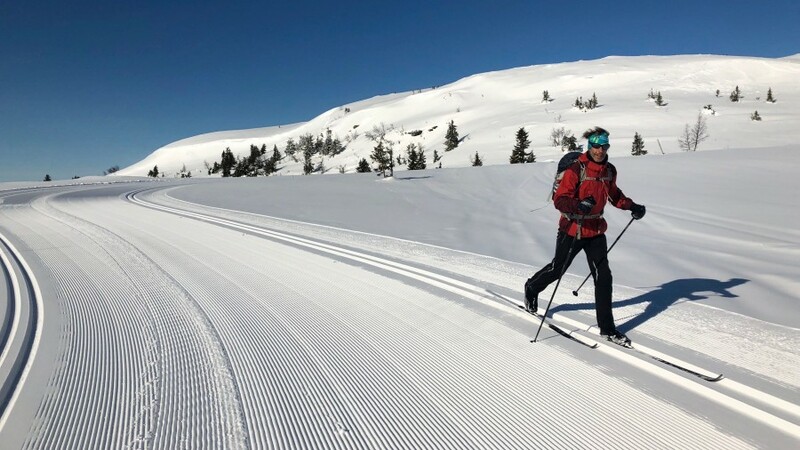 There are also numerous hills, some short and some long, and you should also have a confident 'herringbone' technique and understand how to best use a waxing ski to gain maximum 'kick and glide'. 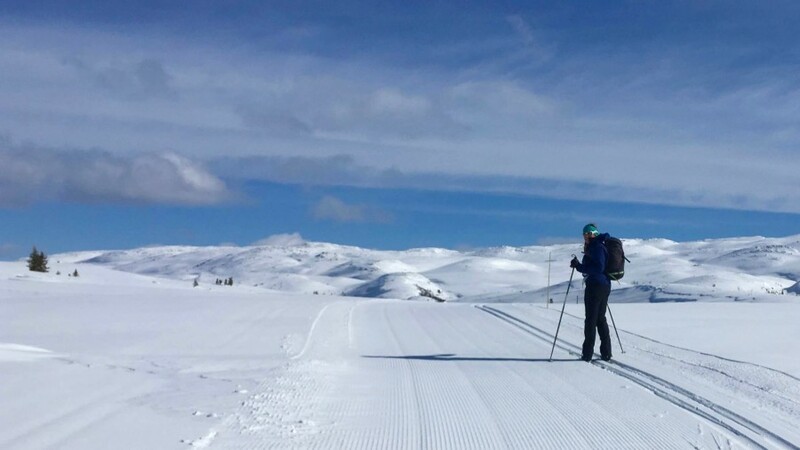 It is important that you understand the need to be efficient while skiing in terms of waxing, and packing/unpacking items from your rucksack as the weather may dictate that we need to avoid undue delays during the ski day. 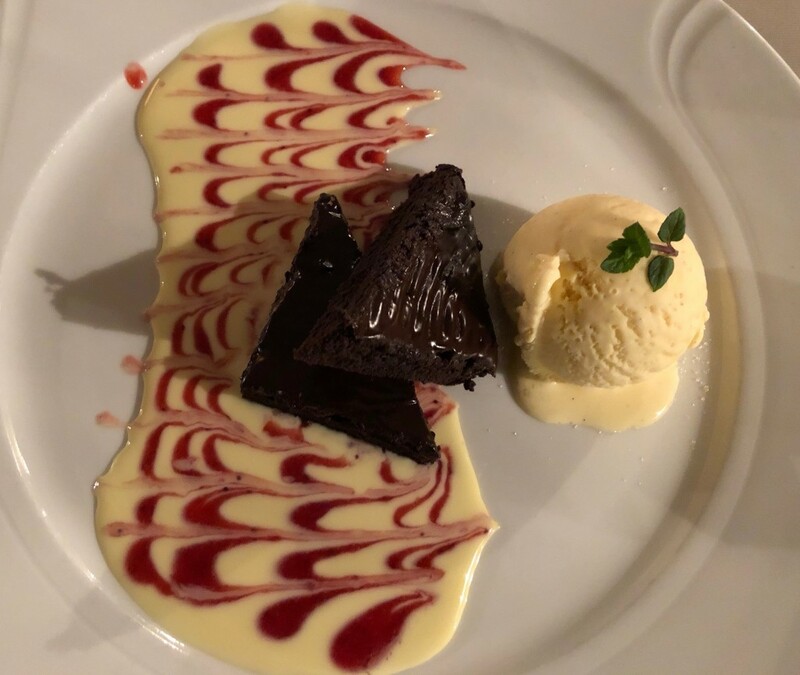 This is without doubt a fabulous trip and the general consensus from our guests in 2019 was that it was the best ski journey they had done. We do not include lunches in your trip fee for various reasons. 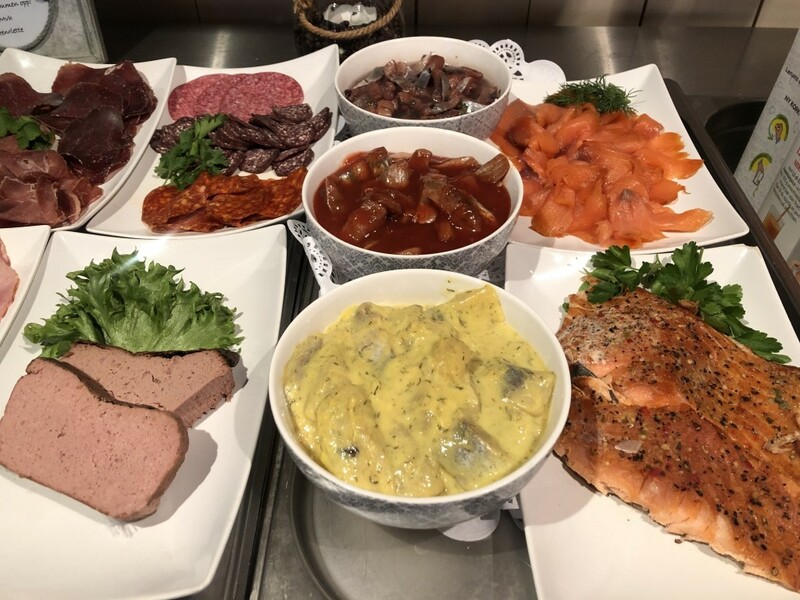 We have found our guests have particular tastes and requirements for 'trail' or 'hill' food and it is better you choose and buy what you require. Buying supplies and trying local specialities is a great way to inter-act with the local people and to practise your language skills. Lunches on our trips are 'picnic' style lunches, in other words you take a packed lunch with sufficient snacks, food and fluid to sustain you throughout your day of activity. If there is the possibility of lunch being taken at a restaurant/farm/cafe beside the trail, your guide/instructor will advise you of this. Each evening you can choose to order a picnic or a sandwich from the hotel, or your guide/instructor will advise you of other options such as a local shop or market and whether you need to purchase items in the evening or if the shop/market is open early enough the next morning not to delay your start. In all cases we would always ask you to settle any 'bill' for lunch or drinks in the evening and not in the morning when there may be a queue. 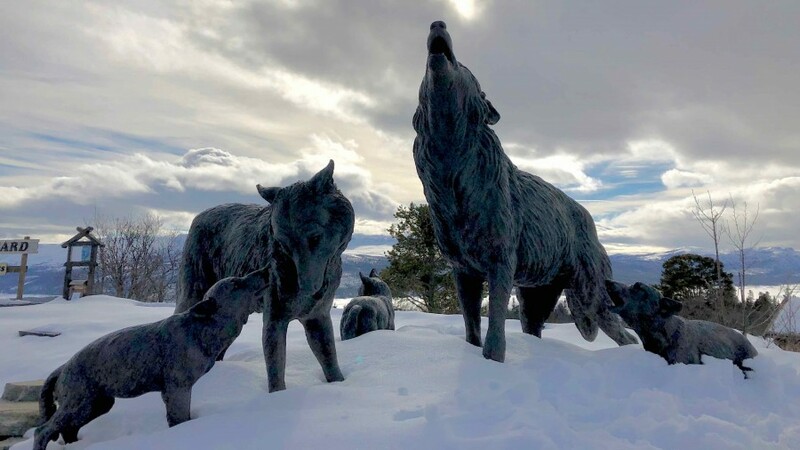 Free entry and guided tour at the Langedrag Nature Park: get up close to lynx, elk, reindeer and wolves!